Confessions of an ex-smoker, you can quit smoking with Ecigarettes today! I smoked for 15 years. I never thought it would be possible for me to quit smoking tobacco. When I first started smoking, I smoked maybe a pack a day. However, as I continued smoking the amount of tobacco I consumed increased; at one point I smoked over 2 packs of cigarettes a day for about 10 years. The negative health effects that plagued me were nothing less than detrimental, not to mention the cost of going from a pack a day to over 2 packs a day was astounding. Luckily, I found out about electronic cigarettes from a concerned friend who also was an ex-smoker. I wanted to learn all that I could about ecigarettes and how I could quit smoking tobacco with them. 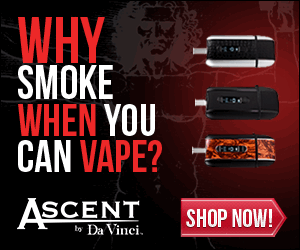 At first I thought ecigarettes was another form of smoking tobacco, but I was completely misinformed. I learned that smoking with an electronic cigarette is nothing more than smoking water vapor. What is in the vapor? Is it addictive? The vapor contains nicotine at our desired strength to satisfy the cravings. The main thing I noticed when I started vaping is that as I continued using these ecigs, my consumption did not increase. This was completely opposite to what I had experienced when I was smoking tobacco. If I am not smoking more, I do not need more, which means I am effectively reducing my dependence on tobacco! At this point, it was the first time in my life that I realized that I could actually give up smoking tobacco and utilize electronic cigarettes as my crutch in this battle! The vapor also contains flavoring to either help simulate the taste of tobacco or menthol. However, you can also find other flavors like grape, cherry, and chocolate. Depending on which brand you buy, there are usually around at least 10 different flavors to choose from. Most starter kits will give you each of the flavors with them! I convinced myself to make the plunge by comparing the cost of a carton of cigarettes to an ecig starter kit. After seeing that huge price difference, I started by ordering a starter kit. I did this was so that I could find out which flavors were going to be my favorite, and then just stock up on those. Whenever I got a craving, I would vape. This took care of my craving every time, but a word of caution when you are first starting; do not treat it like a regular cigarette. A few small puffs will be more than enough to take care of your craving. You will effectively be saving your health and money every time you vape. The great thing about vaping is that I am able to do it virtually anywhere. Since it is smokeless, there are no ordinances or laws against me doing this. So, do like I did and compare the cost of a carton of cigarettes to a starter kit and start vaping today!